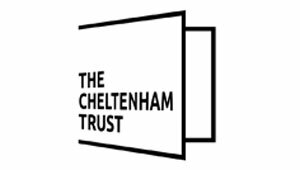 Marketing Cheltenham is a new partnership collaboration with ambitious plans to raise the profile of Cheltenham as a great place to visit, work, invest and study. 2019 takes us into the second year of our ambitious 5-year strategy to grow the visitor economy and we are looking for a talented new marketing team who can join us in an exciting period of the regeneration of Cheltenham. Find out more about Marketing Cheltenham and see what type of work we have been doing so far. There are a number of benefits to working with us. During the 1st year of service one month’s full pay (and after completing four months’ service) one month’s full pay and two months’ half pay. During the 2nd year of service two months’ full pay and two months’ half pay. During the 3rd year of service four months’ full pay and four months’ half pay. During the 4th and 5th years of service five months’ full pay and five months’ half pay. After 5 years’ service six months’ full pay and six months’ half pay. Cheltenham is an amazing place. From humble medieval origins to a buzzing borough of 115,000 people, Cheltenham is a place that has thrived through centuries of change. It is a place we are proud of and passionate about, and we are committed to helping it grow and prosper in years to come. Cheltenham is one of Britain’s finest spa towns, set in a sheltered position between the rolling Cotswold Hills and the Severn Vale. It has a population of c117,000 and with its architectural heritage, educational facilities and quality environment, Cheltenham is an attractive place to live, work and play. Cheltenham has an affluent economy that supports 72,000 jobs in a range of industries including defence, aerospace, electronics and tourism. Our key growth sector is cyber industries, and our relationship with GCHQ puts us in a unique position to drive our ambition in super-fast digital connectivity and innovation in technology and productivity. We have a strong educational sector with a range of providers. As Cheltenham engages with the growth agenda, there is an increasing demand for skills and apprenticeships. Cheltenham has an international reputation as a thriving centre for culture, heritage and sporting events. We host world-renowned festivals such as the Cheltenham Literature Festival and the Cheltenham (Gold Cup) Festival, which enjoys ticket sales of over 250,000. Embracing culture in its broadest sense, we celebrate the best of literature, art, music, sport and science, from the most innovative to the most accessible. We are proud of Cheltenham’s strong and diverse communities. These are supported by a range of voluntary and community groups, resident associations, faith groups, partnerships and parish councils. Projects such as our Inspiring Families project, the St. Peters and The Moors Big Local Project and Midsummer Fiesta are just some of the building blocks on which we can build stronger, healthier and more inclusive communities.